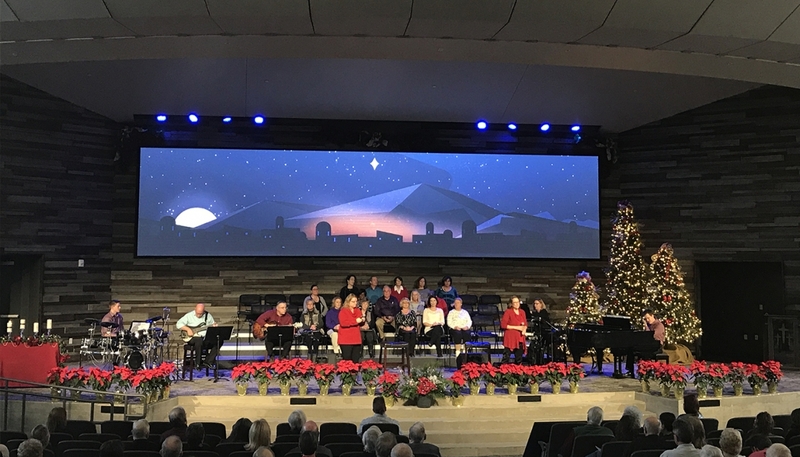 Pensacola, Florida-based All Pro Integrated Systems explored display solutions for the sanctuary whose house right curtain wall has a view overlooking Mount Kimball. The ambient light in the space and the architecture of the sanctuary made front- and rear-projection unfeasible so All Pro installed a 38 x 8-foot Aurora LED videowall, which “gives the look of a triple-wide screen configuration without the need to have three physical screens sitting next to each other,” says Chris Kusek, Systems Design Manager for All Pro. 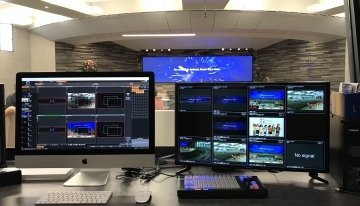 He and Project Designer Sarah Giles researched solutions to process the videowall looking for a system that would be easy for volunteer operators to use while providing the scaling and creative content management required. “The new LED videowall and processor were a big step up for the church,” Kusek emphasizes. 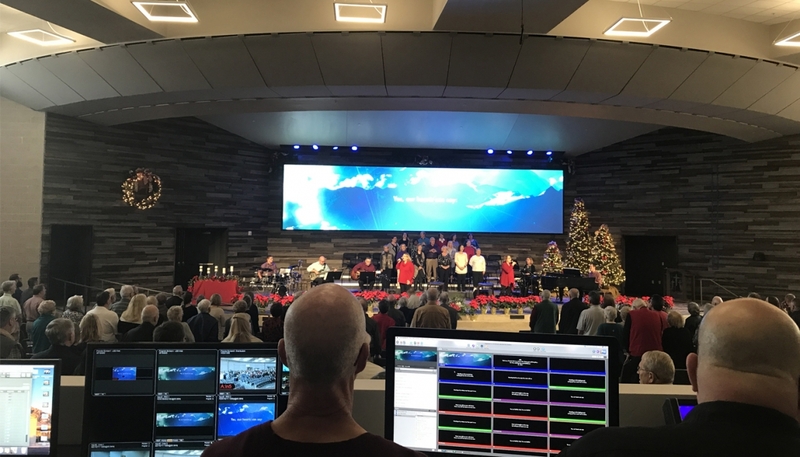 The Ascender 32 enables the church to bring in numerous cameras, computers and other sources in a low-latency environment, feed the LED wall with graphic backgrounds, and layer multiple camera PIPs and other visual effects on top. The Ascender supports the custom main program resolution as well as the 1080 secondary output to distributed displays in the lobby and children’s education area and to recording software – all from a single machine. Sean Norenberg was the Project Manager for All Pro and Jon Brightbill the On-site Superintendant.